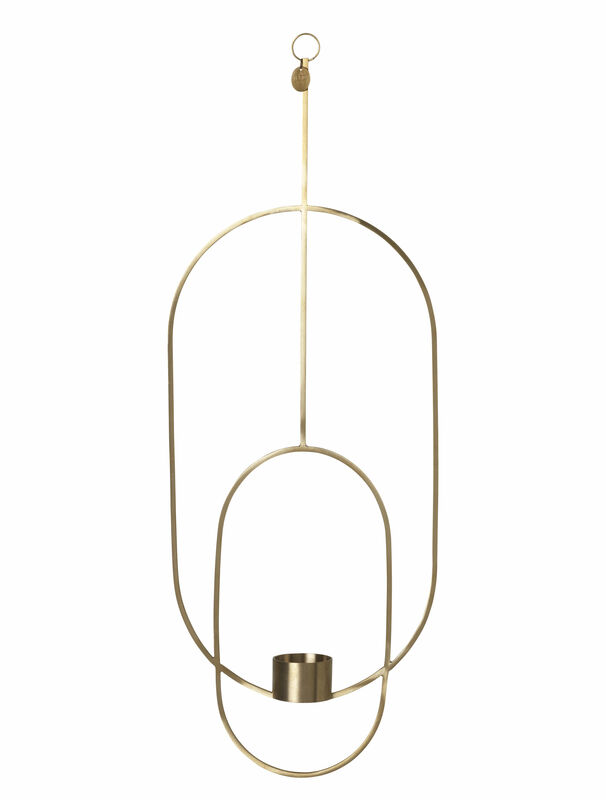 Clean, delicate lines for this suspended candlestick made of intertwined metal rings. This fine, light structure displays a stunning geometric minimalism. Its flat volume floating in the air looks like a jewel. 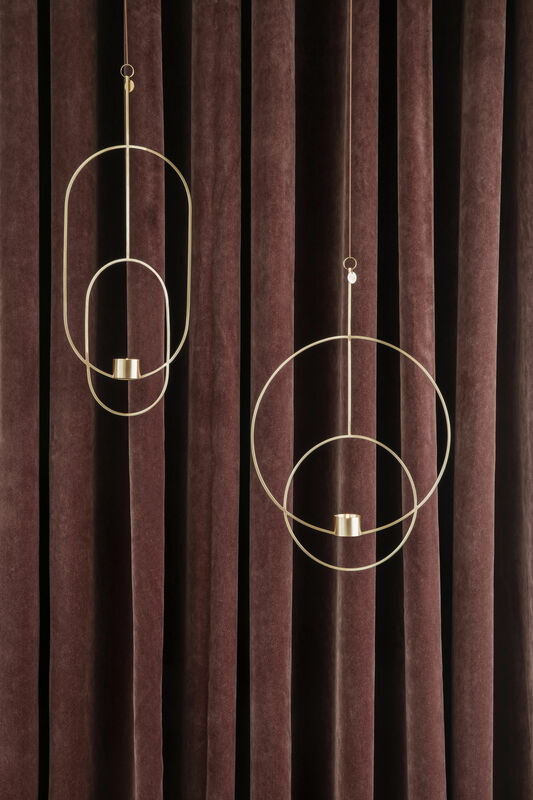 The rings act as a refined setting for the tealight candle that balances precariously. 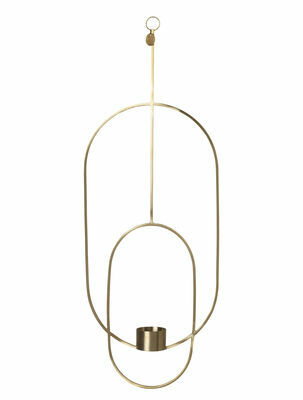 This suspended candlestick can be hung from a window, door, beam or ceiling. 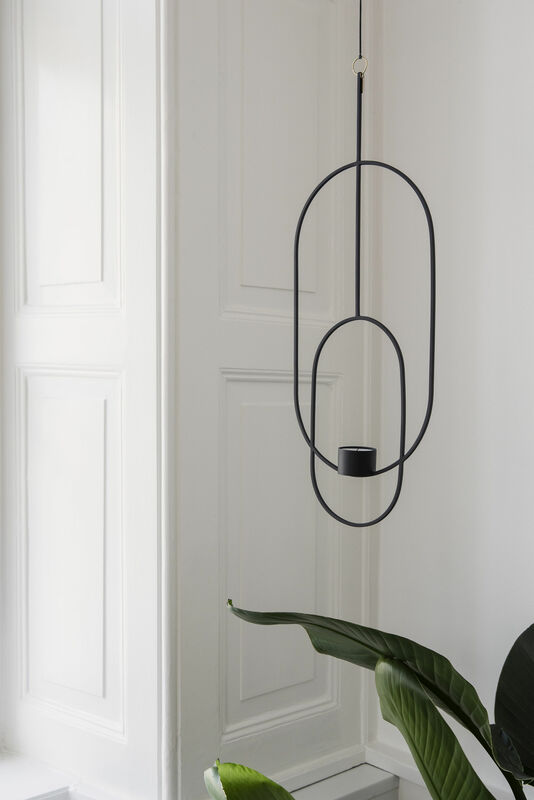 On its own or with others, you can hang them from anywhere in the house to create a cosy, sparkling feel. They’re the perfect companions to provide the finishing touches to your end-of-year celebrations.